Mr. Popper and his family have penguins in the fridge and an ice rink in the basement in this hilarious Newbery Honor book that inspired the hit movie! How many penguins in the house is too many? Mr. Popper is a humble house painter living in Stillwater who dreams of faraway places like the South Pole. When an explorer responds to his letter by sending him a penguin named Captain Cook, Mr. Popper and his family's lives change forever. Soon one penguin becomes twelve, and the Poppers must set out on their own adventure to preserve their home. 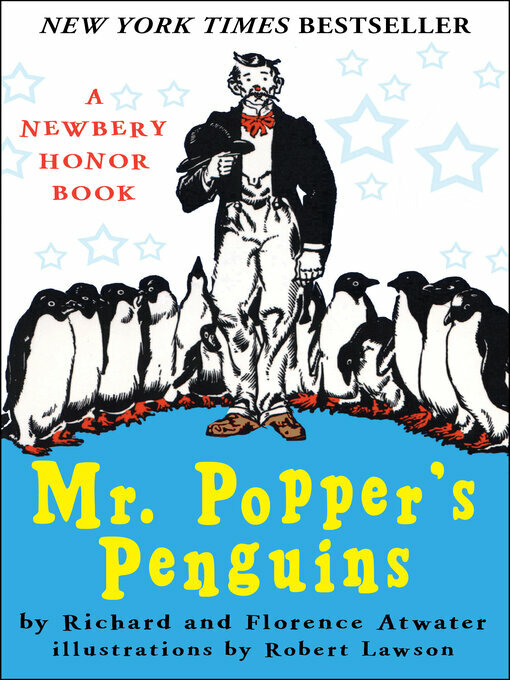 First published in 1938, Mr. Popper's Penguins is a classic tale that has enchanted young readers for generations. This ebook features an illustrated biography of Richard and Florence Atwater including rare photos from the authors' estate.